Seven out of ten children entering a pediatric dental practice from age 2 1/2 to adolescence could benefit from orthodontic correction of a malocclusion("bad bite"). A malocclusion per se is not a disease process but is primarily related to esthetic and functional problems. There problems may lead to psycho-social and other related dental issues during a child's developmental years. One of the most important objectives of a pediatric dental practice is the guidance of the dentition of the child to a state of normalcy for that particular stage of oral growth and development. This requires your child's dentist to supervise the development and exchange of the dentitions, recognize deviations from normal growth patterns, recognize interferences with the normal unfolding of the dentition and determine when and how the interferences should be removed. In the framework of this objective, our office offers you the parent and your child 30+ years of experience, expertise and skill in this important area of the pediatric dental specialty. 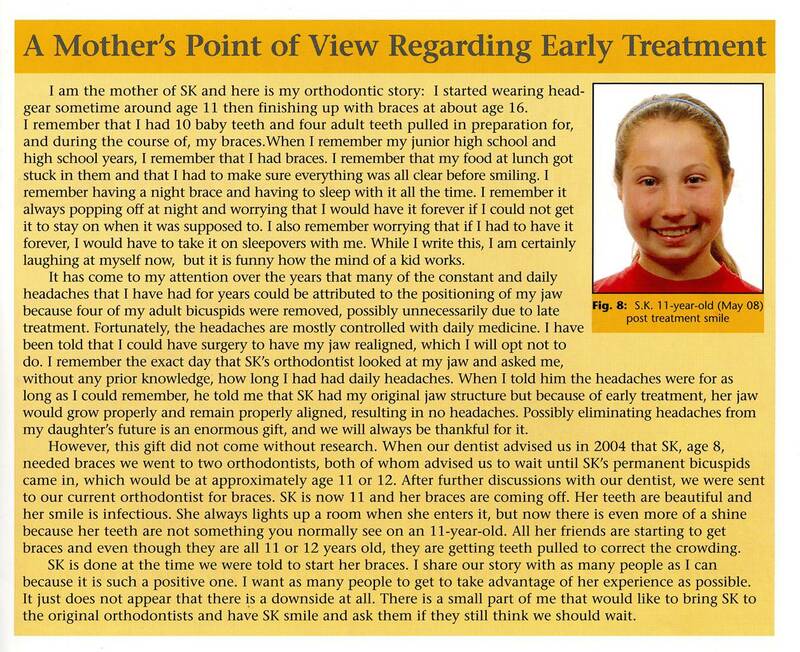 Please feel free to ask our team of professionals how orthodontic treatment is delivered in a contemporary pediatric practice and how it may differ from years past, especially with regards to the benefits and advantages of Early Comprehensive Orthodontic treatment.